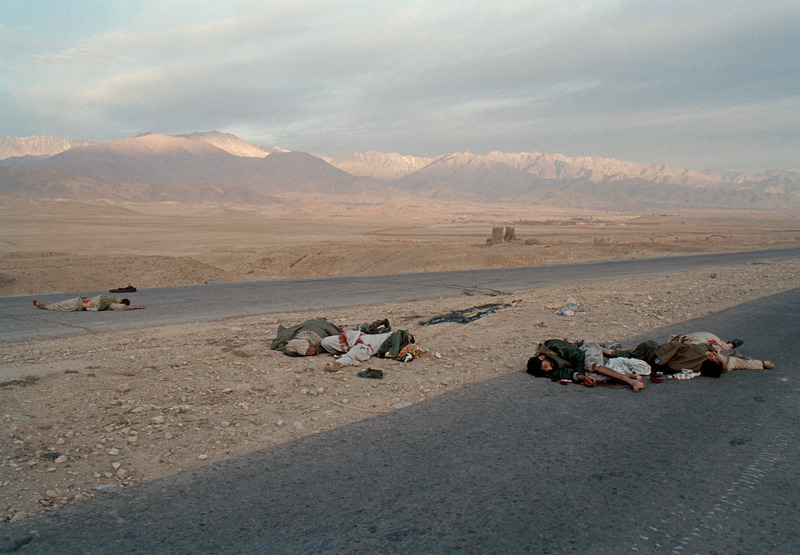 The dead bodies of Taliban fighters on the Old Road to Kabul, in the Shamali Plain, Afghanistan on November 13. 2001. \nThe Taliban regime had earlier fled Kabul City. Later in the day Northern Alliance forces took control of the city.